MANILA -- The Department of Foreign Affairs (DFA) reported that a total of 34,579 Filipinos abroad in 2018 were assisted by its augmented Assistance-to-Nationals (ATN) Fund and Legal Assistance Fund (LAF). The ATN Fund was increased to PHP1 billion and the LAF to PHP200 million under the 2018 budget. Its guidelines were also revised to help provide more effective and efficient assistance, among others. In an accomplishment report obtained by the Philippine News Agency, the DFA said a total of 32,365 overseas Filipinos (OFs) have already benefited from the ATN Fund, while 2,214 OFs were assisted using the LAF, from the period of January to June this year. Alagasi left the country in March 2014. Two months later, she sought refuge at the Embassy after she was hospitalized for serious burns she sustained from boiling water poured on her by the mother of her employer. She pursued a legal battle against the latter which lasted four years. The court, upon a strong representation of the Philippine Embassy, dismissed the consequential damage case against Pahima. She was able to return home in April 2018. Meanwhile, during the same month, the agency also deployed an augmentation team to Kuwait to assist the Philippine Embassy during the Amnesty Program by the Kuwaiti government. Data from the agency showed a total of 5,085 Filipinos were repatriated including 148 infants. A total of PHP24.69 million was provided as financial assistance of PHP5,000 each upon their arrival during the period of Feb. 12 to April 22, 2018. The repatriation of the female wards from the POLO shelter in Kuwait started on April 23, 2018 and is still ongoing, it added. So far, 148 out of the 601 wards have been repatriated. All were given PHP5,000 financial assistance each. On the other hand, during the onslaught of Hurricanes Irma and Jose, the DFA also facilitated the evacuation and eventual repatriation of 136 Filipinos from the British Virgin Islands, Puerto Rico, and Sint Maarten on Sept. 14 to 28, 2017. The DFA chartered a Philippine Airlines aircraft and provided assistance to an estimated 600 stranded overseas Filipinos (OFs) who were caught in the catastrophe brought by Irma and Jose. In the span of one year, the Philippines has signed three bilateral labor agreements with the Kingdom of Saudi Arabia, United Arab Emirates and Kuwait, three of the top destinations of overseas Filipino workers. One of the most prominent documents signed was the Philippines-Kuwait Agreement on the Employment of Domestic Workers, which was approved by both sides on May 11, 2018, and is expected to greatly benefit household service workers (HSW) in Kuwait. The agreement has specific provisions to ensure the protection of rights, welfare, and well-being of Filipino HSWs in Kuwait. It also ensures that the recruitment and employment of an OFW is bound by standard contract, which allows them to possess his/her passport, the opening of his/her bank account, the provision of his/her food, housing, clothing and health insurance, the use of cellphones, and the enforcement of the agreed wage in the contract, among others. The agreement has also paved the way to the creation of a special police hotline, where workers can immediately contact in case of emergencies. In 2017, the DFA also assisted a total of 1,476 alleged victims of trafficking in persons (TIP). Of this number, 726 were trafficked to the Middle East, most of whom ended up as HSWs and experienced maltreatment and other forms of labor exploitation, 615 were trafficked to the Asia and the Pacific Region, while 76 to Europe and 59 to the Americas. For the third consecutive year, the Philippines retained its Tier 1 status in the 2018 United State Department Trafficking in Persons Report released on June 28, 2018. The retained ranking indicates that the Philippines fully meets the minimum standards for the elimination of trafficking. Aside from its fight against TIP, the DFA is also active in pursuing advocacies to further protect migrants as one of the major labor-sending countries in the world. Foremost among its engagements this year is to rally international support behind the Global Compact on Safe, Orderly, and Regular Migration (GCM). On July 13, the United Nations approved its final text. 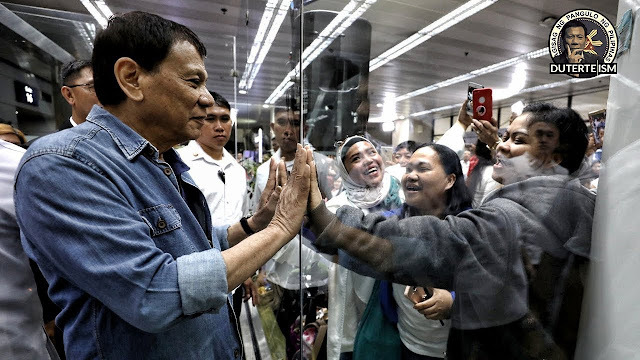 According to the agency, the text carries a "strong migrant protection mechanism," particularly for domestic workers, a campaign which Manila strongly pushed for.